How to Build a Successful Product? What if you invest time, money and effort to build a product and you realize that no one needs it. It happens to most of the small organizations and startups. Every year, millions of dollars are spent while developing and launching the product. No doubt that the digital technologies offer unique opportunities, but it is challenging to achieve an actual digital innovation. When digital technologies are blended with human practice and innovation and implemented in a flexible and scalable manner, the firm grows as a real digital leader. In today’s time, achieving both operational and strategic vision in product building and engineering is tremendously complex, but it can be possible with the help of a team of experts. So, instead of sitting and questioning yourself, contact LeewayHertz. Having more than a decade of IT experience, LeewayHertz understands customer’s insight, design and product demand. The team of Experts at LeewayHertz, help startups and small organizations innovate and develop a new successful product within a defined time frame and budget. Implementing an appropriate approach to build and deliver the desired product to the customer within a provided time frame, should be the main motto. Every customer is unique, having different business goals based on internal and external factors. The implementation of the agile methodology and testing can help customers get the desired product in a defined time frame. Also, it can fulfill their business needs by delivering certain specific on a weekly or monthly basis. Agile is known to be one of the accessible software building and testing methodologies, used by almost 78% of organizations globally. Building a product with Agile uses a highly iterative approach, focused on discovering the key features and objectives. It immediately reduces the risk while adding worth to the product. From gathering requirements to building prototypes and releasing the different versions of the product, the product goes through various phases. This sequence of different stages is known as the product lifecycle. It is the first step for building a product/service. Identifying the problem that you want to solve is the essential step in the journey of doing a successful business. It is all about identifying the issues you want to solve, researching the current market trends for the industry and analyzing the potential business models that may serve your purpose. Discovering the product’s requirement is critical to moving towards the designing, development and deployment phase. It is imperative to know the customer’s vision and goals behind building the product. Once the requirements are precise, it becomes easier to move to the next step. It consists of two levels, defining a vision and creating a feature list for the product/service. Both of the steps are elaborated below. Vision- Vision explains the existence of a company, an ultimate goal that the company wants to achieve. The vision statement helps businesses to stay focused on that goal. Defining the vision for your product/service is undoubtedly the essential step in the lifecycle. It should be crystal clear. A clear and defined vision is at the heart of the lean startup approach that gives a purpose to the business functionalities. Feature List – Once a clear vision is defined, the next step is to articulate and structure a feature list. The feature list breaks down the mammoth task of building a product/services into small chunks of achievable tasks. These chunks represent an individual feature of the final product, which can be enhanced in the next steps of development. Once the entire feature list is ready, the list can again be broken down into different blocks, comprising of multiple chunks of interrelated functionalities. The blocks serve as a feedstock for the sprint cycles, the next step in the lifecycle. In this phase of the product lifecycle, the designs prepared in the previous stage are built using the latest tools and technology stack. Applying an agile approach towards development, through sprint cycles and increments can help both developers and clients understand the requirements gathered in the discovery phase. Sprint Cycles – It is one of the agilest approaches towards software development. A limited set of functionalities is identified, and the solution is developed within a fixed timeframe, before moving to the next set of functionalities. At the start of a sprint, scope of work is defined. A sprint usually spans from 2 to 4 weeks. Here, the work is recognized through development. At the end of every sprint, the developed components are tested and fixed. Once the cycle is completed, the next sprint starts with a new scope. Increment – Once a block of the feature list is converted into the working component; the next step is to increment its new feature block to the existing product. The step ends the development cycle for a feature block and the result is MVP (Minimum Viable Product), which is improved upon in the subsequent sprints for next feature blocks. After each development cycle, the developed features are deployed as a product version. Each following product version builds upon the old functionalities and adds new features to it. The first deployed product is usually called as MVP. MVP or a Minimum Viable Product is essentially a primitive version of the final product with enough core features to satisfy early potential customers and to seek customer feedback. The essence of the approach is to collect the maximum amount of validated learning from the customers and to avoid useless efforts in building features that clients do not require. It involves the maintenance services of the product and fixing minor issues reported by the clients. With agile methodology, maintenance is essential for a product’s success and new features are added in iterations and they need to work correctly with the existing solution. Once a product version is deployed, another feedback cycle is started that defines the strategy to be followed for the product success. Acquisition – Acquisition is the first step after a product version is deployed. It includes the strategies for acquiring a customer base for the products. Without a proper acquisition strategy, the success of a product is very uncertain. Engagement – After an acquisition, customer engagement is the crucial step to success. Customer Engagement is a business connection between the client and an organization. There is a need to ensure that the client is aware of the product at every stage of development. Retention – Customer retention is probably the most vital step of all. Once a customer has shown interest in your product, it is essential to have a retention strategy so that the customer keeps coming back to your product. Retention strategies can range from exceptional customer service to unique product features that no one else offers. Monetization – The last step is to monetize the product/service that you have built. Once the product has a significant customer base, the final step is monetization. The business model needs to be sustainable and should not be something that affects user engagement. LeewayeHertz strategy grows clients’ future, combining deep business insight with the knowledge of how a product will impact the business. We work collaboratively with companies to design, develop and maintain cutting-edge digital products. Our services utilize Lean and Agile methodologies and tools to deliver quality solutions consistently and timely. Our focus on problems linked with competitive agility, developing and business model helps our customers find future value and growth in a technical world. 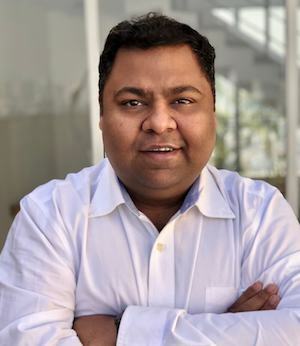 LeewayHertz’s goal is to provide the digital solutions to startup and companies that are trying to build new platforms and applications and get insights on why some product development succeeds and why some of them dramatically get failed. Here is a list of a few works that LeewayHertz has completed covering both the examples of success and failed product development. We shall discuss our one of the most successful products named Icruise. Here, we will let you know how our team worked to make it award-winning and most downloaded vacation planning app among the travel industry. 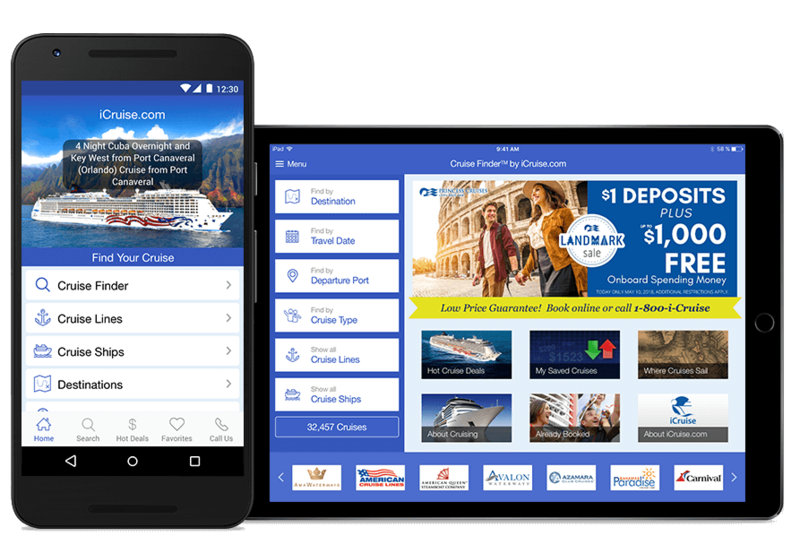 A mobile application to find cruises based on user search preferences. It is one of the top cruise finder apps with award-winning results. So, let’s understand that how LeewayHertz built the most successful product, i.e., Icruise using the product life-cycle explained above in the article. Discovery phase is considered to be a crucial stage of the project. We outlined the client’s requirements to achieve final outputs and outcomes. Outputs included the key deliverables, consisting of reports, websites, and applications. Outcomes included the expected result of the product, which means how many daily visitors you want, who should visit the app or the website. The LeewayHertz’s team then came up with a project’s blueprint and outlined the goals to decide what will be an achievement from both the ends; users as well as business. We delivered the roadmap based on our strategy, ensuring business stakeholders that we were working on the identified goals while keeping all the requirements in mind. Moreover, here we highlighted the chances of success and limited the risk of failure in the product. Once our team completed the gathering of requirements, we identified the modules of the website and mobile app to be designed. Which technology is to be implemented? Which tools are to be used? What will be the scalability of the solutions? What will be the structure of the components that we will use to build Icruise? The design stage means transferring the information from the planning stage further into reality. In the design phase, we documented site structure and visual representation. And the website started taking shape with the completion of the design phase. We have distinguished our design phase into two parts, Visual and technical. Wireframe and design elements planning: It is where the website’s visual layout begins to take shape. We use requirements discussed with the client during the planning phase to design the layout using wireframes. High Fidelity Screens: In this, we delivered a perfect screen visualization experience to the client. Technical Architecture: Our technical team provided the technical architecture to the clients in which everything was defined from the users as well business perspective. From technologies to be used, working of the product, users role and admin job, everything was explained appropriately in the technical architecture. The architecture of the design gave the complete visualization of the product. Moreover, we also offered the Marvell app link to our client to get the visual designing of the app. In the development phase, we built the codes as well as documentation for the components of the application. Build a development frame: In this, we implemented the code and got the primary engine ready and functioning. Code templates for each page type: We developed the models to build several pages for structuring the Icruise application as per the business needs. The website includes multiple pages such as Home, Cruise finder, Destinations, Cruise lines, Cruise + land trips, Cruise deals and free cruise quotes. Test and verify links and working: Here, we reviewed the complete website while evaluating the working of every single page; from home to submission and confirmation page. In the deployment phase, we finally delivered the product to the client for the release and ensured that it is operational in the client’s environment. Before releasing it to the market, LeewayHertz’s testing team tested the functionality of the app on both the platforms, i.e., Android and IOS. In the maintenance phase, we took the responsibility to provide complete maintenance of the product and fixed the issues and changes reported by the client. Throughout the maintenance phase, our team explored the problems to prevent any issues related to the performance of the product or to add advanced functionality to it. Further, let’s discuss what steps LeewayHertz followed after implementing the above lifecycle, to ensure the success of the product (ICruise). Acquisition: Let’s understand how we acquired the users for Icruise.We promoted our client’s app and website on various social media platforms including Facebook, Twitter, Youtube and so on to acquire the customers. Basically, in the acquisition stage, we helped our client to reach a broader audience in a short span of time. Besides this, we also provided the details of the destinations and FAQ’s related to cruise booking. With Icruise- we tried to give users a one-stop solution for planning a cruise holiday. Retention: Retaining customers is a big part of the success of any product.So, to make the customers come back again to use the application, we came up with the idea of providing them with the new and great cruise deals, holiday deals and the access to get a free cruise quote.Moreover, we benefited Icruise users with travel insurance, immigration information or driving directions to offer them a seamless experience. Monetization: It is the last stage, where our client was finally able to earn money from Icruise from the thousands of app downloads and bookings made by the users. Focused on primary problem solving, which is to quickly find cruise itinerary for vacation planning out of 10000’s of choices. Goal: Application to allow people to find deals of restaurants and the ability for restaurants to create quick deals. Wrong prioritizations of the features. The project witnessed failure in 3 months as it was unable to attract users. Even, the user drawn from the marketing campaign didn’t get engaged. Too many features diluted the message. Put together a detailed and thoughtful requirement document. Make sure to cover every specific component that you want in the required application. Look at every possible competitor. Every startup thinks that they are building a unique product. However, there is always a competitor. A competitor is not an existing product or application, but it could also be other alternatives that people use. Put together a strong team. If you are from a non-technical background and building a technology product, hire a technical team and get started. It makes a big difference to get someone on your side to have a technical conversation and challenge the work being done. Come prepared to spend time on a daily basis. It is not something you can finish over the weekends or later in the day. Product development will take a lot of your time and you will need to consistently be looking at next steps, thinking about the experience, giving feedback and inputs. No one will know your product better than you. Do more rapid approval on designs. As long as you understand the designs are right, move on. Approve them and continue to build the product. Designs are the most critical elements, but you can always update them. The first goal is to solve the problem, get people what they want. The designs should be user-friendly. Don’t expand the scope. Be lean in your approach. Don’t solve multiple problems. Solve one problem and explain it right. You may save a lot of time and money to start getting user feedback. You would like to add more features to the application with each passing day. However, you should never do that. You will never run out of ideas on how you can make your product better and more useful. As per our experience, it takes three public releases before your application becomes the Most Likable Product. Don’t run after a big goal: go step by step. Don’t keep monetization as a primary goal. At LeewayHertz, our team of experts follows a thoughtful and profit-driven approach to implement the latest technologies and build a viable product for the customers. How to launch an ICO – Initial Coin Offering? How sales team can use AR in Manufacturing industry? How we collaborate, communicate and effectively manage projects? How Blockchain Lottery Platform can transform Lottery Industry?